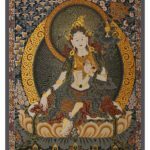 Curator Arjun Sawhney and Tania Le Fabvre in collaboration with Master Buddhist artist, Zeiko are delighted to announce the exhibition TARA: 21 Avatars of the Goddess. The Exhibit is co-presented by Simran Lal, CEO, Good Earth and Sussanne Khan. 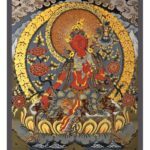 The showcase is a dedicated body of work presented as an homage to the leading female deity of Buddhism in the true form of Thangka art. 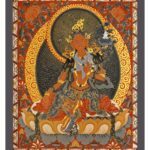 Thangkas often overflow with symbolism and allusion. The art is explicitly religious, all symbols and allusions must be in accordance with strict guidelines laid out in Buddhist scripture. Tara is a tantric meditation deity who today, is worshipped both in Buddhism and in Shaktism as one of the ten Mahavidyas. 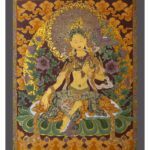 Thangkas serves as important teaching tools unfolding the life of the Buddha, various influential lamas and other deities and bodhisattvas. 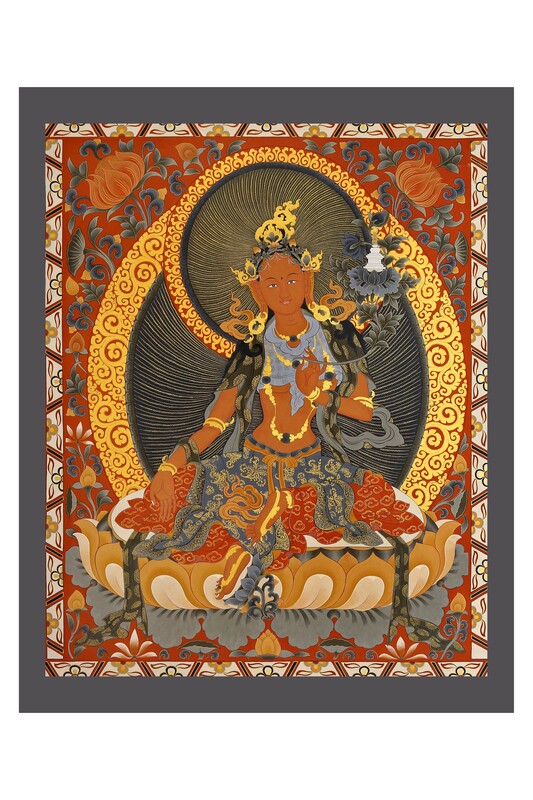 The art of Bhutanese Thangkas exemplifies legends, stories and deities from Mahayana Buddhism. The 23 canvases exhibited will be 5 feet by 4 feet each and out of 23, 2 canvases will be 7.5 feet by 5 feet. Each canvas is mirrored by a hand made sculpture with Earth grounded mud, painted by Earth colors and then glazed. The exhibition will run from March 15th – 25th, 2018.